Your third grade students can learn about the same topic—while reading at their own level! 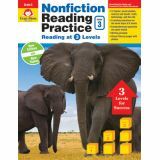 The all-new Nonfiction Reading Practice guides students in reading and understanding nonfiction texts with articles that span the curriculum, helping to boost students' knowledge and comprehension across subject areas. 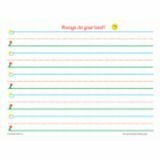 Provide ELA practice for each day of the week with a comprehensive language arts workbook for students. The Language Arts 4 Today book for third grade aligns with current state standards. 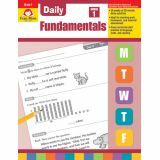 Language Arts 4 Today: Daily Skill Practice for third grade provides 40 weeks of learning activities for each day of the week. 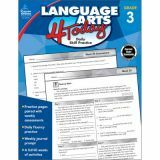 This language arts workbook for students only requires 10 minutes of review and practice each day, and it includes fluency activities, reproducible activities, and writing prompts. An assessment of the skills covered for the week is provided for the fifth day to help teachers easily monitor progress. 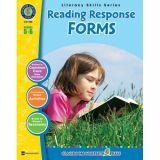 Packed with reproducible leveled reading passages and reproducible individual, small-group, and whole-class activities! 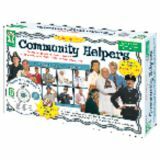 Each book focuses on a specific skill and includes detailed directions for each activity. 48 pages. These valuable and easy-to-use resources provide a wide variety of skill-based worksheets and purposeful hands-on activities based on the six levels of Bloom's Taxonomy. 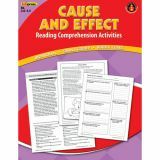 Activities will help to engage and build the full range of thinking skills essential for reading comprehension including applying, analyzing, evaluating, and creating. Includes teacher implementation guide, student assessment rubrics, 6 mini posters, and more. 60 pages. Lessons for Common Core Mastery. 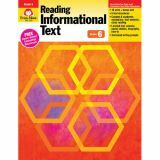 This series provides rigorous reading, writing, and vocabulary activities for informational texts. 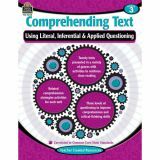 Each unit helps students analyze nonfiction text structures, access complex text, study academic and content vocabulary, answer text-dependent questions, find and use text evidence, and write about the informational text using opinion, argument, informative, and explanatory forms. 128 pages. 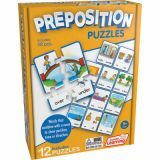 This highly acclaimed, award-winning series teaches grammar, punctuation, spelling, capitalization, and critical reading in a standards-based thinking approach rather than drill and practice. 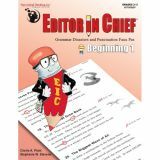 After a concise lesson that explains and illustrates the mechanics of writing, students carefully analyze and edit stories, letters, and articles that contain mechanical errors. 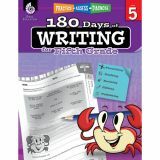 This effective method allows students to gain mastery over concepts that will translate into their own writing. 96 pages.